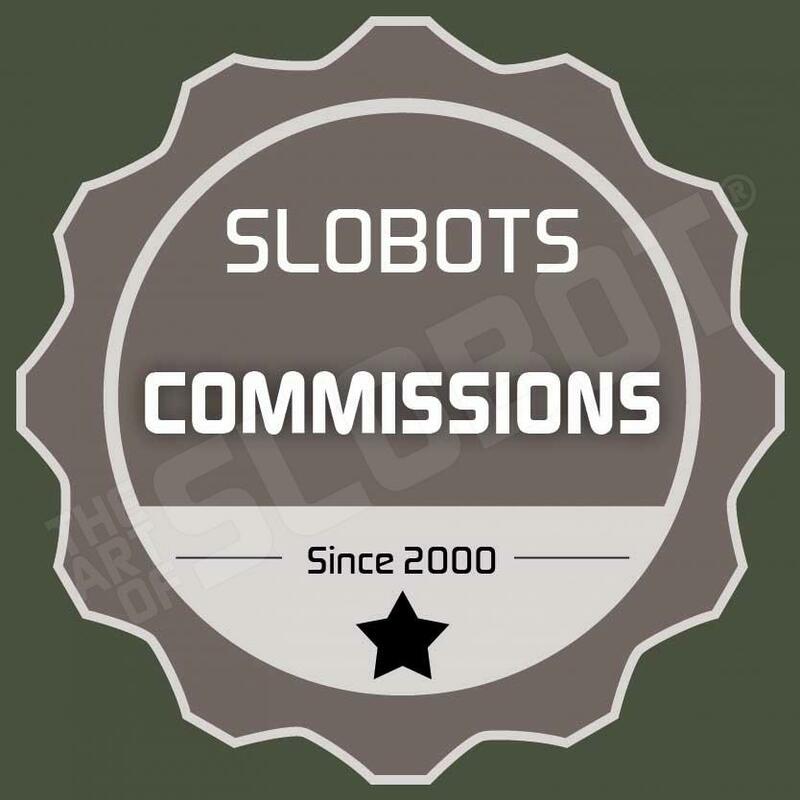 “The SloMikro series of Slobots are small robot art sculptures. This particular SloMikro is maroon in color with a clear blue head and glow in the dark eye and wires. He is made of plastic toys, found objects, resin and other everyday detritus, with glow in the dark parts and moveable arms. They have small pieces that are probably a choking hazard!